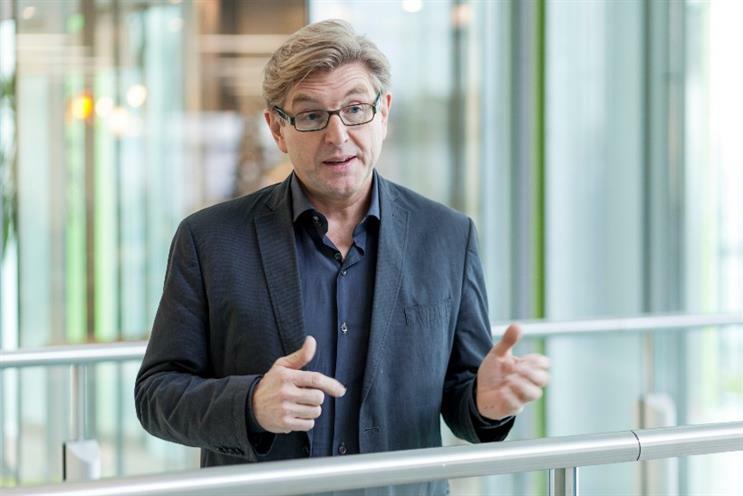 More than 2,500 representatives from governments, NGOs and the private sector convened in Davos for the World Economic Forum last month, writes Keith Weed, CMO of Unilever. They addressed global issues such as inequality, poverty, climate change and the future of the digital economy and for me, three key motifs ran through the week which will impact how we do business. The first was how the stars are really aligning to make 2015 the year for global action to achieve the future we want. With the adoption of the Sustainable Development Goals (SDGs) in September and a United Nations Framework Convention on Climate Change (UNFCCC) in December, we have a unique opportunity this year to mobilise the world at scale on the issues of climate change and human development. Marketers have a big role to play in engaging citizens to raise awareness and incite action. We need to think creatively about what we can do, leveraging our owned media and other channels to connect and inspire every person on the planet to act now to change the course of the future. You can’t have a healthy business in an unhealthy society. That leads me to the second topic I am keen to highlight, which is the power of partnership. We have been pioneering a collaborative business model for some time with the Unilever Foundation. Now more than ever it is clear that the more joined up we are, the greater the positive impact can be, both in the world of business, and more broadly as a global community. We’ve already seen examples of how this can work in business. For example, how the Consumer Goods Forum, a business association representing companies with total net revenue of over $3 trillion is working alongside banks, NGOs and governments to tackle deforestation. Through collaborating to create the Tropical Forest Alliance, they have the potential to cut global greenhouse gas emissions from deforestation in half by 2020. On a global society level, actress Emma Watson is proving inspirational in mobilising her 16m-plus Twitter followers as well as the global political community on the agenda around women’s empowerment with the #HeforShe campaign. Empowering women is one of the best ways of stimulating development, as they transform lives, families, communities and economies. Another initiative we can all get involved in which stood out this year was Collectively.org, which aims to inspire millenials to take small actions to live a more sustainable life. Thirty-five companies are already supporting this initiative – is yours? Get involved! Forward-looking marketers have already recognised the massive opportunity to lead from the front on this consumer-facing agenda. As citizens become more educated and engaged around climate change and societal inequality they are increasingly holding businesses and brands who are not part of the solution to account, and I expect to see this trend increase sharply this year - make sure you are ready for it. The third overarching theme is the future of technology, specifically the internet. Personalisation and access were hot topics of discussion, both of which have huge implications for marketers. But what became clear during a Financial Times panel I participated in was the importance of understanding not just technology, but how technological developments will change our business models. The power of the internet and the transparency of social media means businesses are now accountable to consumers in a way never previously imagined, and businesses must adapt their models to thrive in this new world. This is not the future, it is now. And it is accelerating. The panel was called ‘Is this the end of business as we know it?’ Increasingly I think the answer has to be ‘Yes’. 2015 has the potential to be a phenomenal year for our industry if we demonstrate that as marketers we will step up and help shape the global agenda, rather than simply be shaped by it. Collectively, we can make this year transformational.